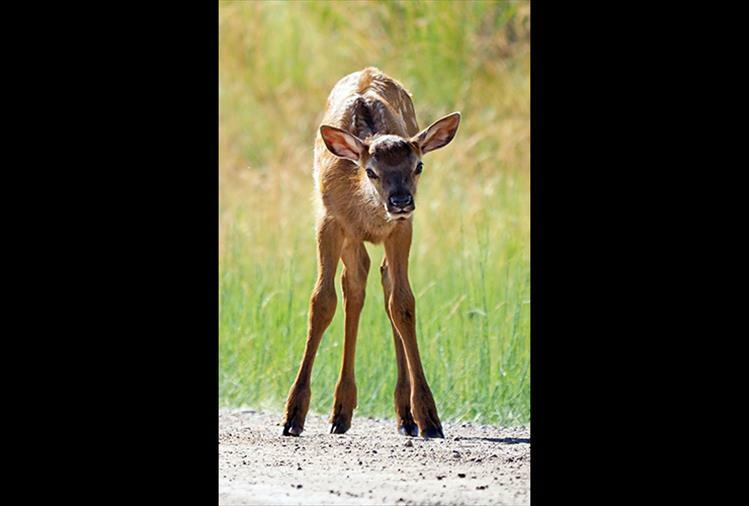 Long legs: Roughly 35 pounds at birth, elk calves grow to the size of a whitetail deer by the time they turn six months old. 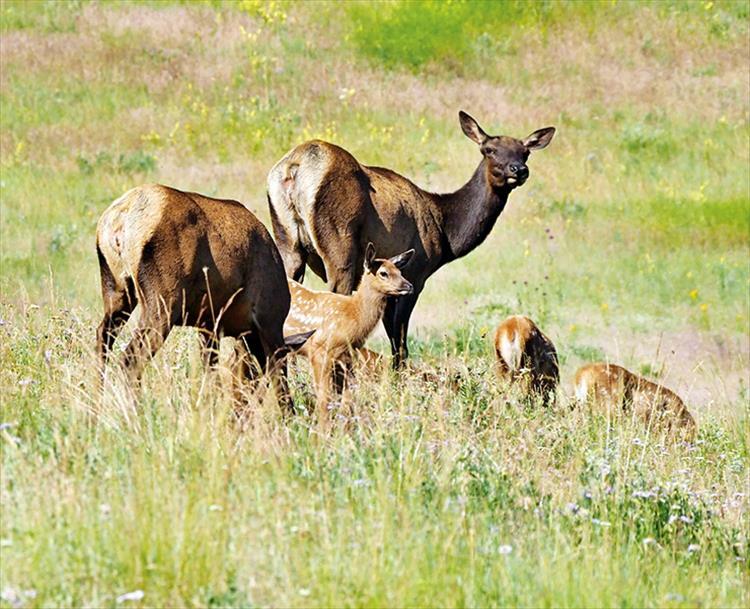 Family meal: A family of elk enjoys a sunny afternoon in a green pasture. 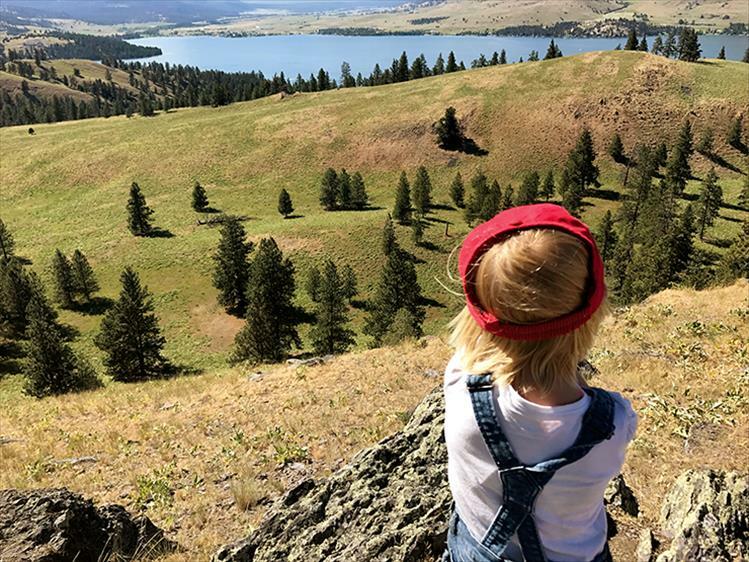 Top o' the world: A spectacular view of Flathead Lake is seen during a hike to the top of Wild Horse Island.